Winnipeg | CNS Canada – The Flax Council of Canada has announced a new operating structure; restructuring its board and joining forces with the Canola Council of Canada. The move comes six months after the council shuttered its Winnipeg office and reduced its services. 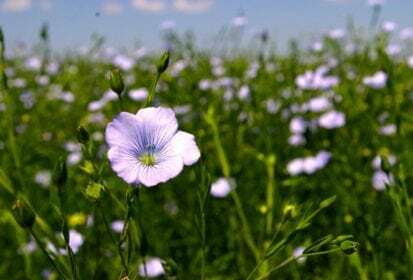 Under the new structure, the Saskatchewan Flax Development Commission (SaskFlax) and Manitoba Flax Growers Association will support flax agronomy and research, including the flax breeding program at the Crop Development Centre in Saskatoon, Saskatchewan. Michelle Beaith was recently hired by SaskFlax to lead research and agronomic programs for the industry, according to the release. Market development, market access and government relations services will be provided to the Flax Council on a cost-recovery basis by the Canola Council of Canada. The arrangement will provide access to professional staff and worldwide connections, while enabling the Canola Council to generate more value from the strengths of the Flax Council. The Flax Council’s Executive Committee will set the direction for policy and programs, considering the best interests of all those with a stake in the future of Canadian flax, from growers to processors.